What is the CALM Pledge? Across Herefordshire and Worcestershire, we want to establish a network of sports clubs, organisations and activity providers who will encourage an open culture around mental health. The CALM pledge is our new initiative to help clubs demonstrate the importance of equality, inclusiveness and anti-stigma around mental health. Care - to encourage an environment which displays kindness and concern for others. Aware - to have club members and staff who are well informed around mental health conditions. Listen - to give attention, and respond to participants who reach out for support. Mindful - to be aware of mental health conditions and its impact on everyone. 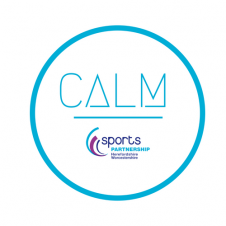 Taking the CALM pledge will showcase a positive ethos around mental health at your club, providing a welcoming and supportive environment for everyone. This will enable your club to potentially attract new participants as well as access free training and resources. You will also be provided with a CALM certificate and logo which you can use for promotional purposes. Please fill in the form below as an expression of interest in signing up to the CALM pledge. This will enable us to contact you with further information regarding the initiative. Tick this box if you would like to sign up to our newsletter. Across Herefordshire and Worcestershire, we want to establish a network of sports clubs, organisations and activity providers who will encourage an open culture around mental health.